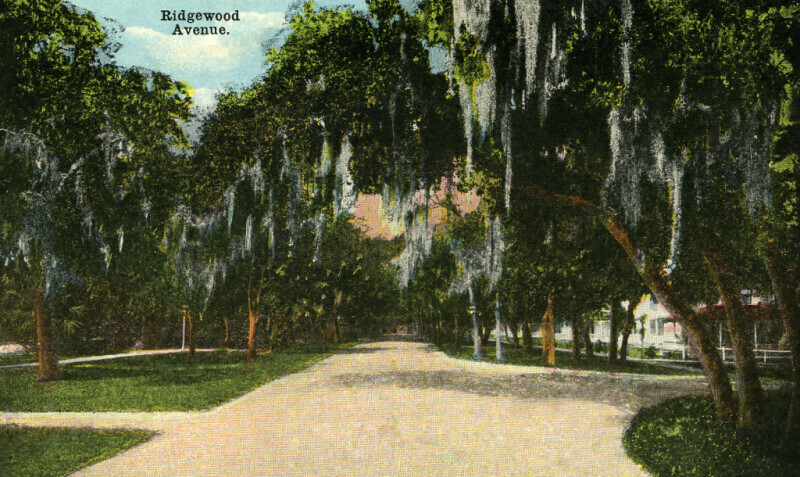 Ridgewood Avenue is a wide, straight road that is lined with numerous deciduous and palm trees. In the foreground, the curving branch of an oak tree spans the road, with Spanish moss draping from the branch. There are pedestrian walkways to either side of the road, and buildings can be seen beyond the sidewalk. WARNING: You are about to download a 4.5 MB TIFF!